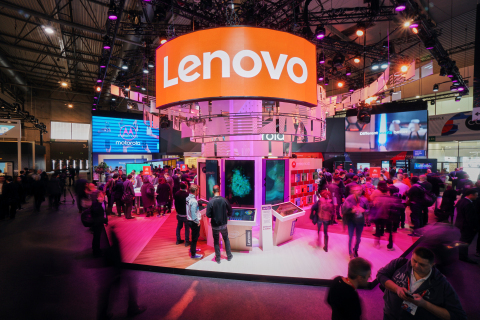 BARCELONA, Spain--(BUSINESS WIRE)--Today, at MWC 2018, Lenovo reinforced its 2018 vision for technology innovations, moving its core strategy to Augmented Intelligence. With its roots in the PC space, Lenovo has created one of the most complete collections of smart AI devices, giving it a unique advantage to provide the three key elements of Intelligence: Data, Computing Power and Algorithm. Through new AR, VR and voice-activated technologies demonstrated at the show, Lenovo gives you powerful new ways to live, work and play. From intuitive new voice-enabled Yoga™ 2-in-1 laptops launched today, to transformative Moto Mods, to advanced data center solutions, Lenovo makes all the critical human connections to AI, from devices to data center. At MWC, Motorola will be illustrating how it continues to challenge the industry with premium smartphone features at great value price points, and how innovation lives in our DNA with transformative Moto Mods that help you monitor your wellness, among other things. The Motorola Health Mod will be showcased, which allows you to easily measure five vital signs including accurate systolic and diastolic blood pressure, all via your moto z device. Motorola will be sharing insights around its recently released global Phone-Life Balance Study which has been developed in partnership with Dr. Nancy Etcoff, renowned expert in Mind-Brain Behavior and the Science of Happiness at Harvard. The study identifies problematic behaviors that are impacting relationships with others and ourselves and shows how people are putting their phones before those they care about, with the most alarming findings tied to younger generations who have grown up in a digital world. Motorola believes technology should enrich our lives, rather than distract from them and is offering intelligent solutions to help people manage their phone life balance. This includes a partnership with SPACE, an app that helps to make you more mindful of your phone usage, and Moto Experiences that support more intuitive mobile interactions. Lenovo’s PC and Smart Devices business is developing new products to transform commercial and consumer experiences through Augmented Intelligence. Lenovo’s new trio of ruggedized Lenovo 500e, 300e 2-in-1’s and 100e Chromebooks built for education are now available for consumers. Beyond the protective designs to guard against spills and drops the 300e Chromebook features Lenovo Enhanced Touch technology that allows the use of everyday objects to interact with the screen and the 500e Chromebook provides an EMR™ Pen with Google®’s innovative near lag-free algorithms for writing and sketching. For smarter living, the new Lenovo Smart Display announced at CES 2018 makes using technology at home more convenient, intuitive and shared. It combines the voice capability of the Google Assistant™ with a vibrant, full HD touchscreen display.2 As the command hub for connected smart home devices, from lighting to heating and more, it can be controlled with just your voice or a quick glance at the display. Also launched at CES 2018, Lenovo will showcase how Augmented Intelligence continues to make its devices different and more immersive. The Lenovo Mirage™ Solo standalone VR headset and Lenovo Mirage Camera, a VR180 camera, lets you to create and consume your own VR content using Daydream™, Google’s mobile VR platform, while Star Wars™: Jedi Challenges with its Lenovo Mirage AR headset and Lightsaber controller breaks the boundaries of what’s possible by letting fans experience Jedi training in AR. Lenovo’s Data Center Group continues to power the Intelligence Revolution by expanding into two new segments in Telecommunications and IoT. As innovations in mobile and smart devices rapidly grow, the telecom industry is undergoing massive changes with 5G networks. Lenovo is uniquely positioned to disrupt the traditional telecom installed base and provide a seamless transition for communication service providers to the software defined world. Lenovo is launching a performance optimized offering based on Lenovo ThinkSystem SR650/SR630 servers and switches, Red Hat OpenStack Platform, and Mellanox ConnectX-4 NICs for accelerated packet processing. In addition, Lenovo is joining the ‘Intel Select Solution for NFV’ program and offering a solution specially optimized for encryption and compression based NFV workloads. The solution is comprised of Intel QuickAssist Technology (QAT) and Intel XXV710 NIC enabled on Lenovo SR650/SR630 servers. Leveraging its #1 position in x86 server reliability3, Lenovo will also demo the industry's first 5G-ready base station with software and virtualized implementation of the centralized and distributed units (CU/DU) – made possible through customer-led, joint collaboration with China Mobile. 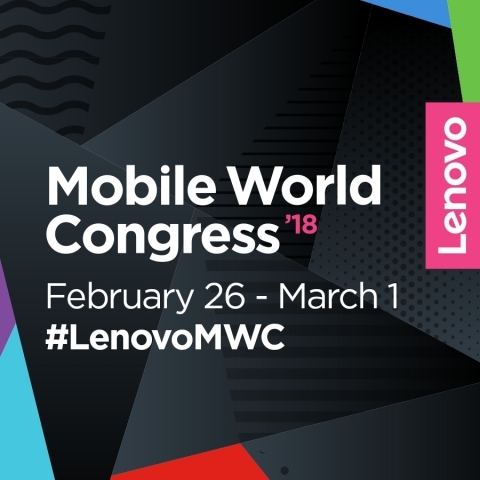 Demonstrations of Lenovo’s ‘device to datacenter’ solutions can be seen at Mobile World Congress in Barcelona, February 26 – March 1 at the Lenovo Showcase in Hall 3, Space 3N30. In the Intel booth, Lenovo will showcase a ‘self-optimizing 5G network’ solution based on Lenovo ThinkSystem SR650 servers. See http://news.lenovo.com/MWC2018 for information about pricing and availability for products. 1 Cortana and Alexa are available on the Yoga 730 with far-field voice-recognition technology supporting up to 4 meters away and in standby mode. Alexa capability is expected to be available in the US, Canada, UK and Germany. List of countries may expand over time. 2 FHD touchscreen display is available on the Lenovo Smart Display 10-inch model. LENOVO, LENOVO MIRAGE and YOGA are trademarks of Lenovo. GOOGLE, GOOGLE ASSISTANT and DAYDREAM are trademarks of Google, Inc. STAR WARS and related properties are trademarks and/or copyrights, in the United States and other countries, of Lucasfilm Ltd. and/or its affiliates. © & TM Lucasfilm Ltd. EMR is a trademark of Wacom Co., Ltd. ©2018, Lenovo Group Limited.